Gus Poneris had hot and cold spots throughout his Milford home, and was about to shell out $20,000 for a new HVAC system to regulate the temperatures. But before he signed a contract, he wanted more proof a new system was needed. He got it from a thermal image scan, which uses infrared technology to reveal problems with moisture, electrical, HVAC systems, foundation, plumbing and, in Poneris’ case, insulation, by comparing the relative temperature of one object to that of its surroundings. Infrared imaging is a growing trend that can lead to some impressive energy savings. 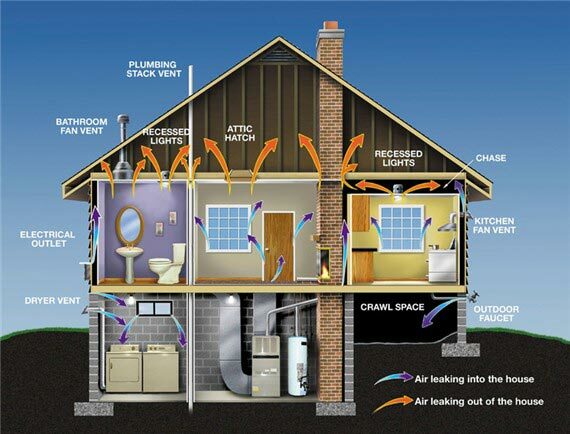 This has brought the home inspection field extra attention recently, especially with home heating costs. A problem is that only a handful of home inspectors offer thermal imaging. This has been due mainly to the price of infrared cameras. Just having the images taken isn’t enough, though. Poneris, who paid Yankie for the inspection, says it was worth it. Yankie showed Paneris how to correct the issues, and he now saves about $35 on his energy bill each month. And, he did not need a costly new HVAC system. Gromicko estimates that by fixing the energy-sucking problems in your home that thermal images highlight, a typical client will get back the cost of the inspection in one winter.